This ” Five Simple Ways To Cut Costs At Home ” describes ways that people can adopt to reduce their utility costs. This is a guest post from Kara Masterson. 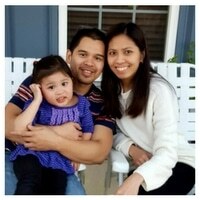 Kara is a freelance writer from Utah. She graduated from the University of Utah and enjoys writing and spending time with her dog, Max. Find her on Facebook. This post contains affiliate links/ads. See disclosure policy. One of the biggest eaters of your paycheck is the utilities. For many, it is even the biggest one. Depending on the season, the age of your house, how you use your electronic gadgets, and some other factors, your utility bills can be low in a given month and be way too high in another. It is no wonder that a lot of people have searched for and adopted ways to reduce their utility costs. I would do the same if I saw a bill that’s too high than what I expected or budgeted for. It is no wonder why a lot of companies deliver products that promise to be more energy efficient. The problem with this these energy efficient products, sometimes, is that they are too expensive to buy and it may take a couple of years to see the return on investments. For example, I could buy a pack of four CFL bulb for around $5. But for one LED bulb, I would have to shell out at least $8 to buy one LED bulb. This is just a simple, low-cost example but there are plenty of other examples where the price differences are big. 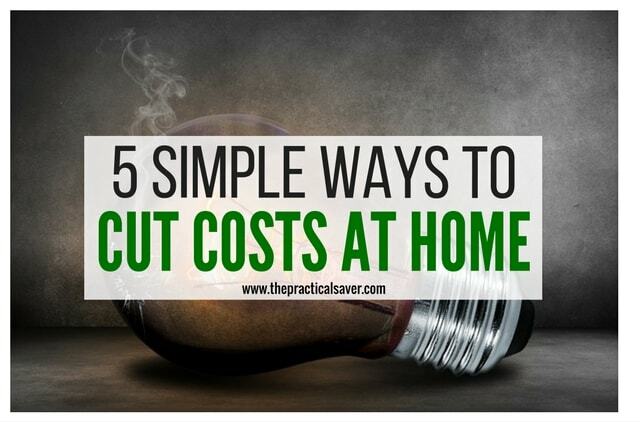 Here are what Kara, the guest post writer, considers as five simple ways to cut costs at home. While I believe that energy efficient products truly provide savings by reducing utility costs, there are simple ways that you can adopt to reduce your utility costs. The last one in this list may not be cost effective right away but it can be in due time. One of the most basic tips for cutting expenses in the home is to cut off lights and other electrical items when they are not being used. However, not many consumers heed that tip. Cutting off lights, televisions, air conditioners and other appliances can save hundreds of dollars every year. Many people are not fans of streaming products such as Hulu and Netflix. If you ever feel the need for cable, phone, and internet, you may want to consider bundling them. Bundling phone, cable and Internet can save a consumer a significant amount of cash each month. Consumers can save more than $50 a month by purchasing predetermined packages from the leading providers. Bundles give consumers the opportunity to have everything they need in their homes and save money, too. If you ever want to cut off your cable, Hulu, Netflix, and the likes and still want to watch your favorite shows and movies, I highly recommend you try Jeestream.– I've been using Jeestream and loving it. With Jeestream, you NEVER HAVE TO PAY TO WATCH AGAIN. That's right. Pay a little over $100 and that's it. With Jeestream, you get more TV shows, movies, sports, non-US based shows, and radio stations than Hulu, Netflix, Amazon Prime, Apple TV, and Redbox combined. Another tip for cutting the monthly expenses in the home is to eliminate extra features that people have on their accounts. For example, a cable customer can save $15 or more each month by eliminating premium channels. Internet customers can downgrade to a slightly slower speed such as super-fast instead of lightning-fast if they want to save money. Poor insulation is the cause of many people’s heating and cooling bills. Having an inspector come and look at the insulation is a step that can end up saving thousands of dollars. A local HVAC company can do the inspection, and it can provide the consumer with suggestions for fixing the problems. Getting an engineering degree might sound like an investment, but it can cut costs in the home in the end. People with engineering degrees not only have an advantage in the workforce, but also they have an advantage in the home. They know how to manufacturer buildings, so they can see problematic areas that are causing the loss of funds in any home. A person can obtain an online engineering masters at a facility like Case Western Reserve University. Additional suggestions are available, but a consumer can start with this list to cut down expenses. Results should appear in less than 30 days of aggressive cost cutting. What do you do to cut down your utility expenses? The random “engineering degree” tip is actually a good one. 🙂 Engineering continues to be one of the highest paying career fields.